So, let’s check out some of the awesome products sent to me and see what I thought about them, shall we? Spiced Balm: I absolutely LOVE this balm. It’s definitely my go-to fall balm, as it contains organic cinnamon leaf and tangerine essential oils. It’s so tasty, and it feels amazing on the lips with the cocoa butter and organic coconut oil in it. 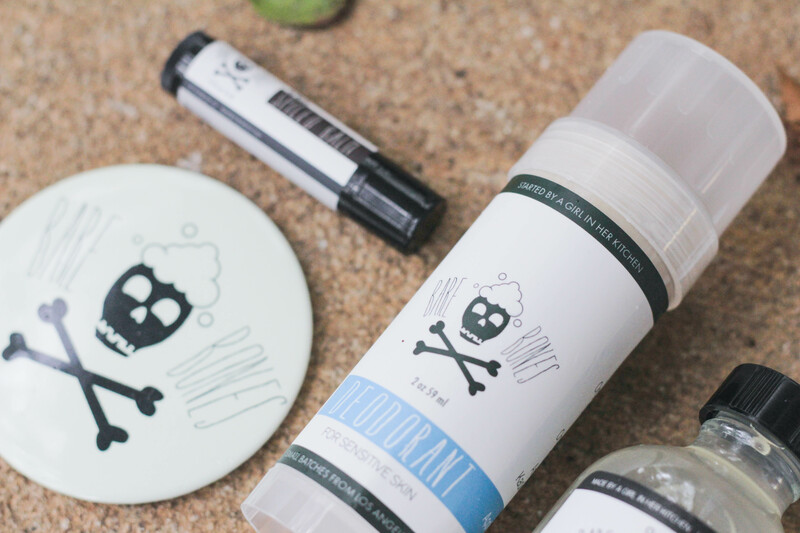 Deodorant For Sensitive Skin (Baking Soda Free): I love the simple ingredients in this deodorant. If I’m going to be completely honest though, I have been noticing that I don’t typically do well with deo sticks. Not sure why, but my body doesn’t agree with them – odour-wise! That doesn’t mean it won’t work like a charm for you though! 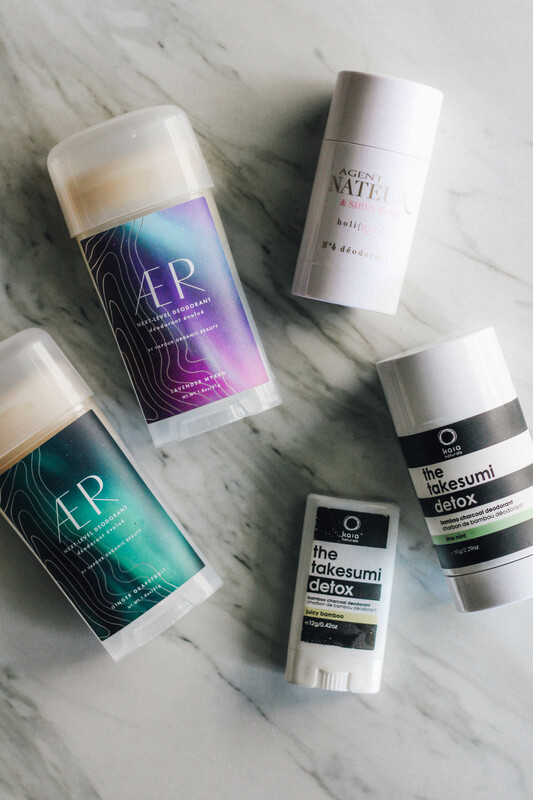 These great ingredients – organic coconut oil, organic lemon EO, organic tea tree oil, candelilla wax, arrowroot powder, kaolin clay and shea butter – will keep you smelling fresh and sweating…less. Because this is not an anti-perspirant, you will sweat, it’s natural. You’ll just smell nicer! ;) I love that this is baking-soda free too, for all of those who are like me and get mega skin irritation from that stuff! 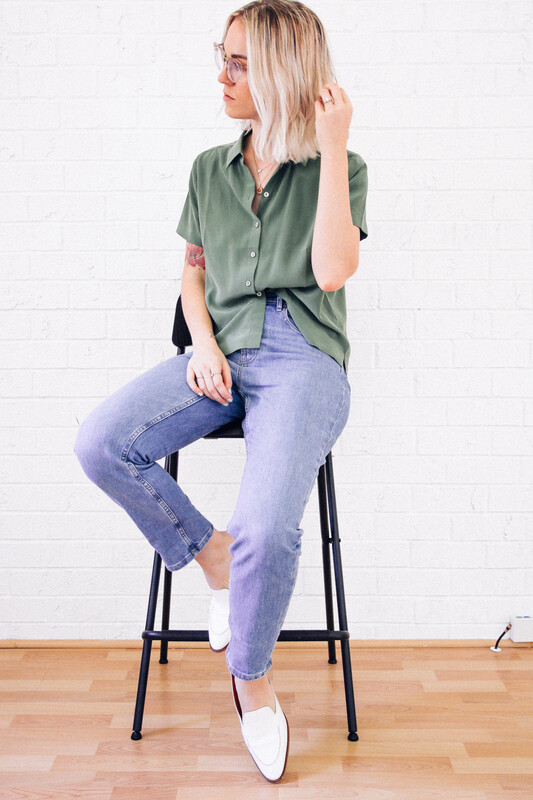 Toner: This is one of my favourite toners for brightening my skin! I like to use it when I wake up in the morning, especially to get rid of any excess oils on my face and to clean it a bit. I just take a cotton round and douse it with the toner and swipe my forehead, nose, chin and any other areas on my face I think need it. It’s refreshing, smells invigorating (because of the lemon) and Monica describes it as “a breath mint for your face”. I’d say that’s highly accurate! Face Oil: This lovely face oil is comprised completely of organic ingredients such as hemp seed oil, grape seed oil, jojoba oil, palmarosa essential oil and grapefruit essential oil! 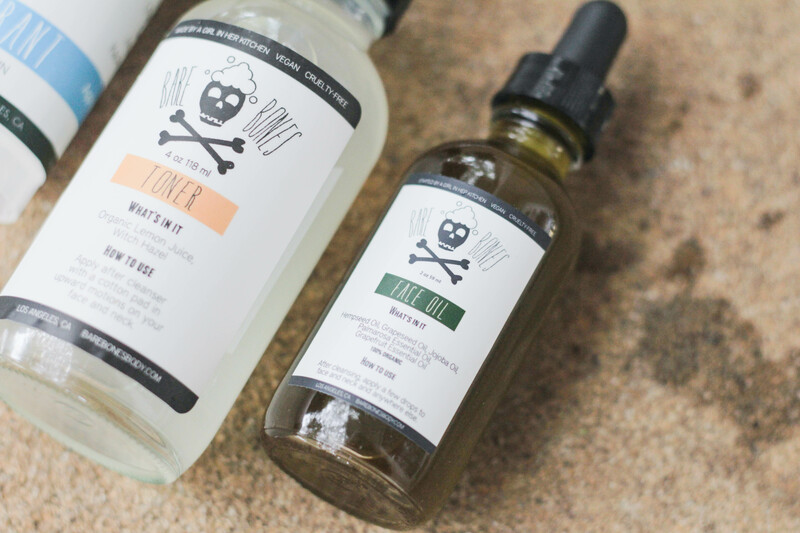 If you’re not sure about face oils, because you’re naturally oily, think again! This will balance out your natural oils, AND it’ll soak in fast and keep your skin protected all day long. It’s chalk full of nourishing oils that will keep your skin feeling good as gold. So, my overall experience with these products was awesome! 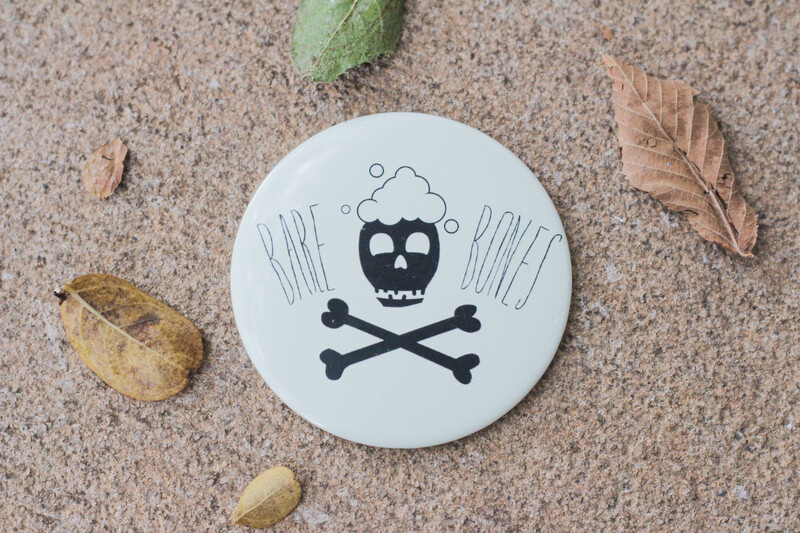 If you’re in the market for affordable, vegan, all-natural and cruelty-free, simple ingredient skin and body care – Bare Bones is totally for you! And if it wasn’t enough that they’re so affordable and awesome, Monica was so generous to offer you wonderful readers a 20% coupon code! Just type “hullosam” at checkout and BAM! Done. Hope you enjoy your products!